For years the thought of diagnosing your own lawn care problems have made thousands of people across Ohio shiver. What the heck is that growing in my lawn? Am I watering too much, or not enough? What kind of weed is that? The answers to these questions and more can be found in a new mobile application that's free for your iPhone or Andriod phone. So you’ve got a weird looking thing growing in your lawn. You’re not a lawn care aficionado, so explaining it to Weed Pro over the phone is as easy as swimming the English Channel. That’s why Weed Pro has put together an album of some of the most common Ohio lawn weeds, insects, and diseases, complete with pictures and written descriptions of each problem. 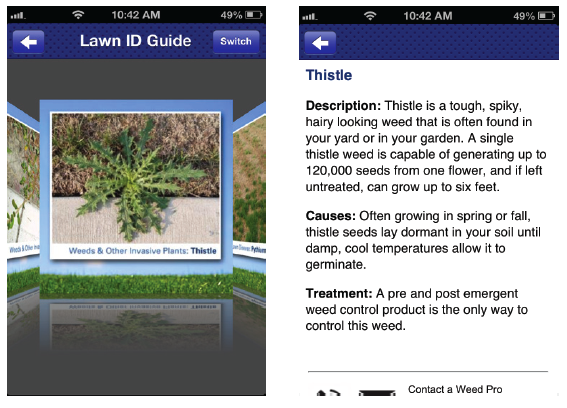 Weed Pro’s Lawn ID Guide serves as your own lawn Wikipedia, describing each lawn problem and how to treat them. ices to diagnose and suggest treatment options for your lawn. This app not only helps you diagnose your own problems, it helps allow Weed Pro technicians understand the severity of your issue, recommending the appropriate level of treatment! Resources: Lawn Care Guides focusing on improving your lawn. 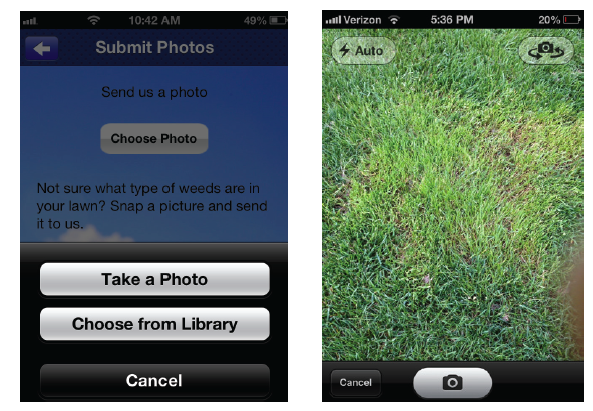 Submit Photos: Gives you the ability to send Weed Pro pictures of trouble areas in your lawn. Fan Wall: Love Weed Pro? Let it show by posting comments to our Fan Wall. 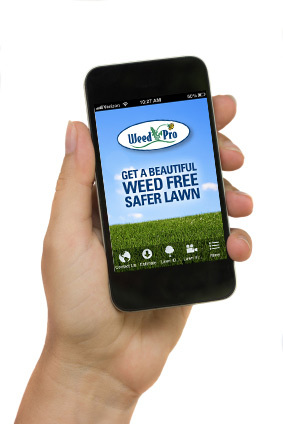 Get Social: A quick link to all of Weed Pro’s Social Media pages allowing you to participate in lawn care discussions. 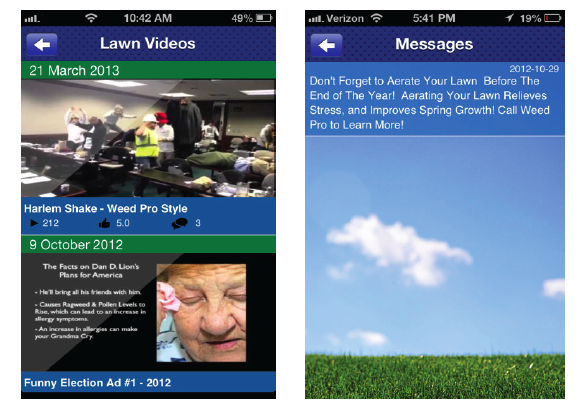 Messages: Important updates about local conditions and instructions to help you get a better looking lawn! Weed Pro's Mobile App is Available For Free! That's right! All these great features can be at the tips of your fingers by downloading the application in the Google Play or iTunes Store! Click on the link below and we'll provide you links to each application and also a FREE instructional users guide!